Take your place on the grid! With up to 35 drivers racing at once on our 1200m karting circuit, this is an experience not to be missed. We can host a range of karting events from birthday parties and stag parties to corporate days. Juniors can start from age 8 with an induction before moving across to join a family session on our 850m circuit. Timed sessions and Grand Prix events are available from 14 years plus with exclusive events available for corporate bookings. 15 minute practice followed by a 30 minute head to head race. 10 minute practice followed by a 15 minute head to head race. 15 minute practice followed by a 45 minute head to head race. Using 390cc Sodi Karts on our 1.2 kilometre circuit. Lap timing and printouts included. Using 390cc Sodi Karts on our 1.2 kilometre circuit. Lap timing and printouts included. Using RX250 Sodi Karts. If you’re skilled enough to complete a lap on our 1.2 kilometre circuit in our regular hire karts in under 72 seconds then you’ll qualify to hire our Sodi RX250s. These sessions are great for family groups and younger drivers as these sessions never include adult only groups. Drivers aged 8-11 must have completed an induction session at KNE to be eligible for family sessions. Lap timing and printouts included. Drivers aged 8-11 years must first complete our Junior Induction on the 350 metre Kids Track. Drivers aged 8-11 yrs must complete the junior induction on their first visit. The 30 minute induction session includes track side kart handling tuition and 15 mins track time on the 350 metre junior circuit. Twin seater is available for an adult to drive with a passenger 5 years +. Karting is what we’ve built our excellent reputation on and our 1200 metre outdoor circuit is fundamentally the best track in the North East if not the UK and Europe! We run an 850m variation of the circuit for family karting events, so children from 8 years old can experience the thrills of karting, with an exciting main straight and tight, technical corners. Our dedicated 350 metre junior circuit is used for children’s parties and induction sessions for those under 12 years old. This offers a fun driving experience and is perfect for an introduction to karting. We have four models of kart, all manufactured by French company Sodikart, the World Leader in leisure kart manufacture and supply. Our fleet of Sodi GT4 karts run on LPG and feature a Honda GX390 cc engine. 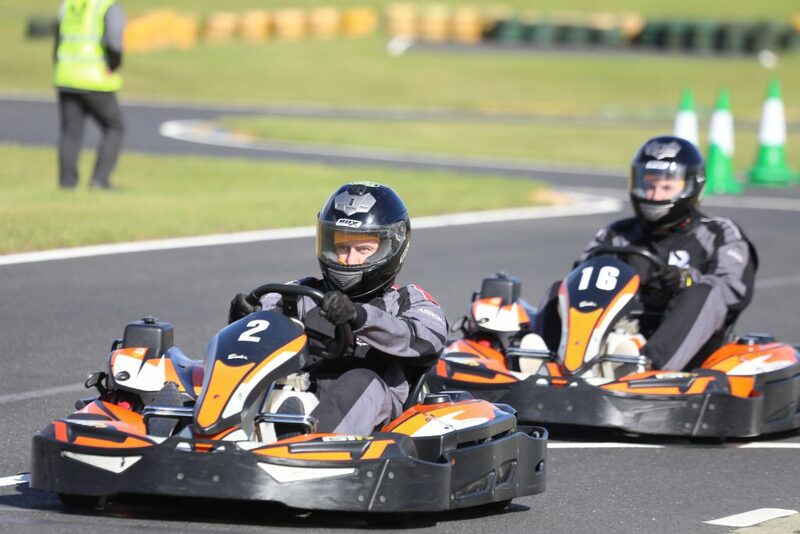 We can race up to 35 of these karts on our circuit at once and are ideal for stag groups, hen parties, birthday parties and private hire bookings. 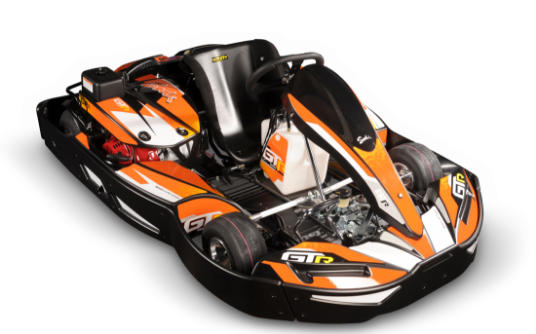 The third kart in our range is the Sodi LR4 which makes up our junior fleet. 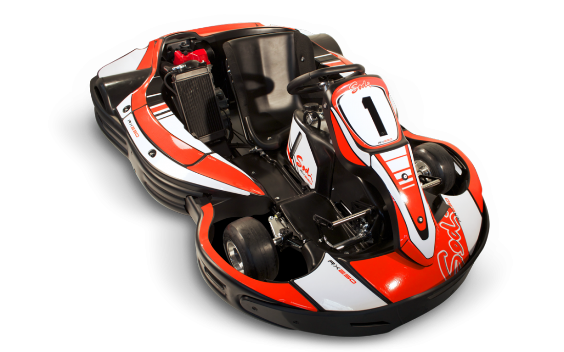 These karts are designed for children aged 8 and over. They can be driven on our junior training circuit or on the 850 metre family circuit. All children aged between 8 and 11 years old are required to complete a junior induction before being able to kart on the main circuit. We also have the faster RX250, which has a 250cc, 4 stroke petrol injection engine and is described as ‘The world’s first sporting leisure kart’. There are qualifying requirements to be able to hire this kart for timed practice sessions. 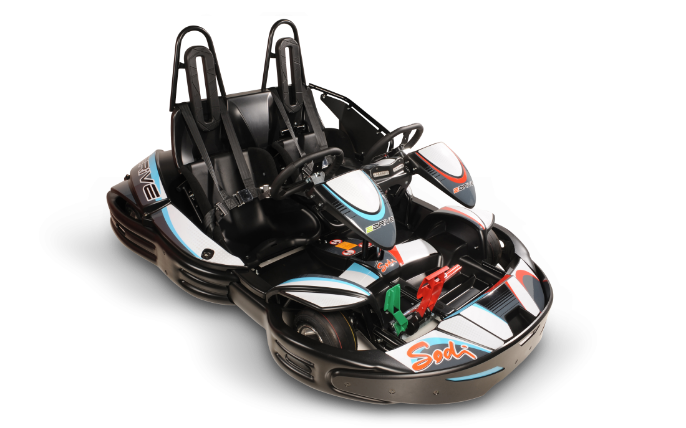 In addition there is a Sodi 2Drive which is a twin seater kart and is ideal for children from 5 years and individuals with additional needs. On arrival all guests will sign in and register at reception before the safety briefing begins. in any doubt you must seek further guidance and help immediately. rules and Health & Safety procedures will allow you to enjoy a thrilling and enjoyable experience.